As trusted movers in Victoria, Provincial Moving & Storage is committed to professionally wrapping and packing your prized possessions, securely putting them on the moving truck and transporting them to your new location. We understand the worry and stress involved in moving which is why we are completely dedicated to safety and reliability. 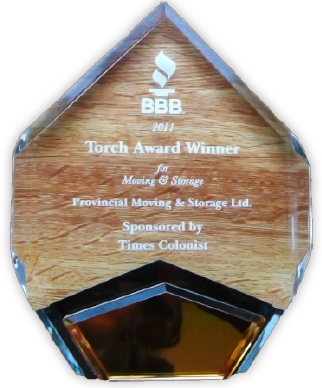 Our primary moving service area is Vancouver Island and British Columbia. We also do occasional long-haul moves to Alberta. Remember there are significant benefits of a local mover! Check out our frequently asked questions for more information.